Progressive activist and Women’s March leader Linda Sarsour accused “white Jews” who are critical of Democratic Minnesota Rep. Ilhan Omar of basing their criticism in stereotypes while speaking at an event earlier this week. “A black Muslim woman congresswoman, her ancestors wildest dreams that in America, a refugee from Somalia could make it into an office like Congress. Right? Someone who English was not her first language. She came here at the age of 14. Right? She didn’t know [anything] in Somalia about no anti-Semitism,” Sarsour stated, referencing Omar. You have to see it to believe it. @lsarsour, #BDS activist & @womensmarch Co-Founder whitewashes the antisemitisms from @IlhanMN, claiming that Omar “didn’t know about #antisemitism” & blames the “white #Jews” for saying she’s antisemitic. This is something she’s learning along the way now that she’s a legislator. But what has happened often times when white Jews who continue to call her [an] antisemite is that they look at Muslim women from an orientalist trope that we are inherently anti-Semitic because we’re Muslims. Right? It’s a stereotype that has been used often against Muslim communities, that we are anti-Semitic until proven otherwise. That we are guilty until proven innocent. It’s not okay. 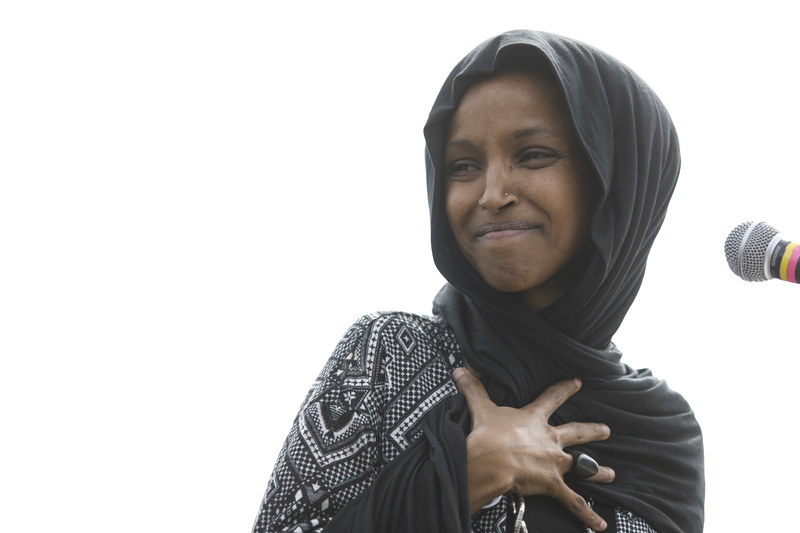 Omar has faced numerous allegations of pushing anti-Semitic tropes throughout her time in Congress thus far. More recently, she accused members of Congress of having a “dual loyalty” with the United States and Israel. This comment sparked an anti-hate resolution that passed through the House of Representatives despite not naming her specifically.